Britain started to strengthen its influence in Nigeria in the 1800s after abolition of slave trade in Europe. Lagos in southern Nigeria was occupied in 1884 and Britain established the Oli River Protectorate. Britain’s power over the territory of Nigeria was acknowledged by other European nations in 1885. In 1914 Britain united the areas of Niger as Colony and Protectorate of Nigeria, but its administration remained divided into Northern and Southern Protectorates and Lagos Colony. Nigerian nationalism started growing during the time of World War II. 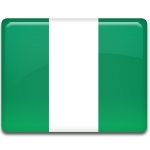 After its end a wave for independence swept across Africa and Nigeria gained its independence on October 1, 1960. Celebration of Independence Day starts with the ceremony of flag raising, then President delivers a speech. A military parade and cultural events follow the speech. People enjoy the shows, that are organized on this day.